Today on the blog, I have a guest post from the lovely James from Furniture Of The Mind. James wanted to share his experience of mental health with you and the importance of Self care and how Autumn has helped him through this. I've been suffering from depression for around 7 years now or at least that's when it began effecting my day to day life to a point where it was creating problems for me. Last year I finally made the link to the reason I find it harder to get up in the mornings, be motivated and generally not feel like Dracula had done his rounds and drained every last drop of my soul from my body... Autumn and Winter. This was pretty hard to accept as I absolutely love these seasons, much more than the summer months at least. This year, I have managed to resurrect my excitement after feeling particularly negative about the whole cold, dark months of last year. I've started coming across the term 'Self-Care' a lot this month, which isn't something I've really noticed before or had much involvement with which struck me as pretty odd considering my history of complex mental health problems. It's a tad different to the whole 'Self Help' scene from what I've come to understand or at least that is what I think. Throughout my battle with poor mental health, I've learned a lot. A lot about myself, the body, the mind and other people. I've discovered some reasons what's brought me to my current position in life, the way brain chemistry effects my feelings and reactions as well as what makes me tick and how I can keep myself level or save myself from the darker times. I'm still learning and I think I always will be. Autumn and Winter are hard months for a huge amount of people, the darker evenings and weather can have a catastrophic effect on mood and energy levels, myself included. But at the same time I find it to be an absolutely wonderful time of year because there is so much going on, there is a lot to celebrate and there isn't much I love more that a cup of tea, a cosy jumper and a book by candle light on a chilly autumn evening. This is why I think Autumn is the perfect time to embrace Self-Care. It's a great opportunity to de-clutter, detox and prepare. Take time to surround yourself with positive people and things you love, obliterate the negatives and plan how you'll keep yourself out of the darkness in the coming Winter months. Download the amazing Self-Care starter guide from The Blurt Foundation and make sure you can enjoy the Autumn and Winter like never before. Let me know what you thought of James' post! 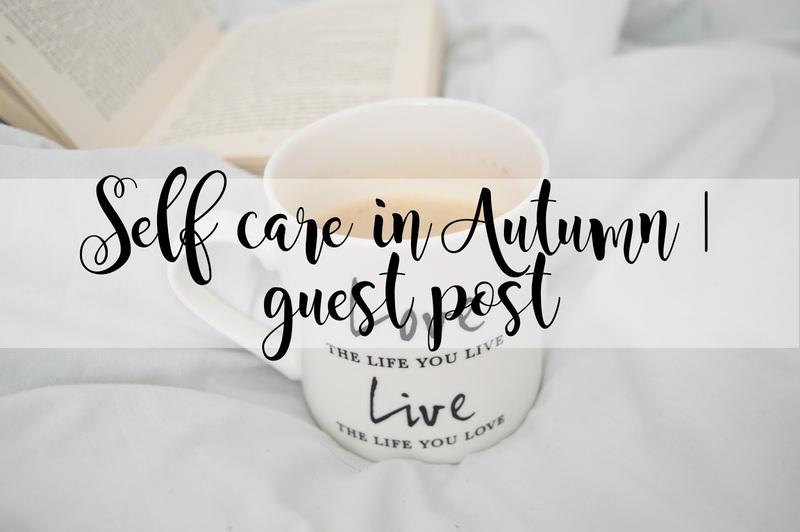 What do you do in Autumn regarding your self care?